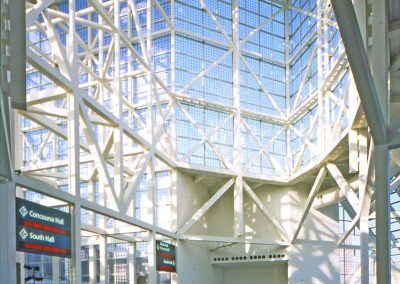 Gruen Associates resolved three main design challenges—aesthetics, operational and functional issues—for the Los Angeles Convention Center Expansion. 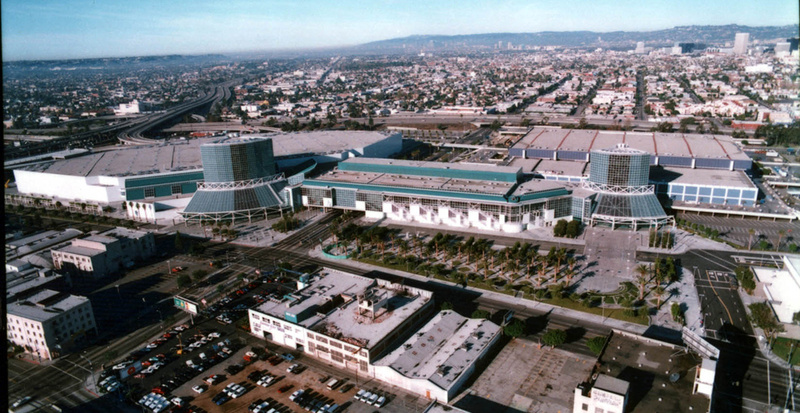 Located on a 63-acre site, the $302 million project added 2.5 million SF to the existing facility including a 350,000-SF exhibit hall, 46 meeting rooms, a new restaurant and food concession areas, a new loading dock and over 3,500 parking spaces. A new two-story conference room structure bridges the existing facility to the new iconic glass entry towers identifying a unifying design element. 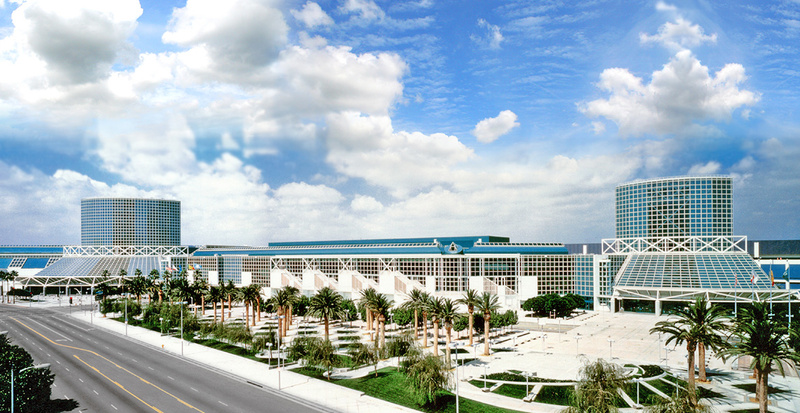 Especially challenging was designing the project in a way that allowed the Convention Center to stay operational during construction. 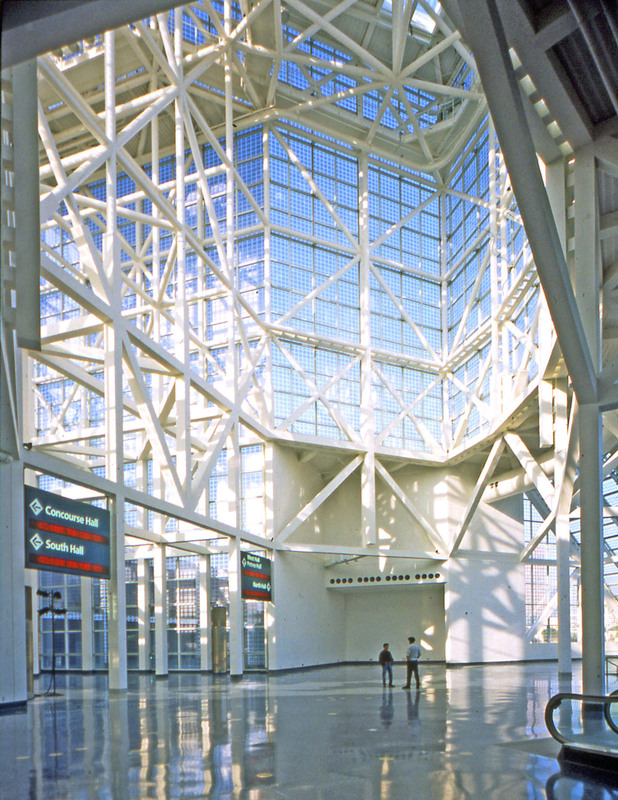 Gruen worked closely with the Convention Center staff to maintain operation of the existing facility during its renovation, which included refurbishing the lobby and meeting rooms, moving administrative offices, remodeling the main kitchen and restaurant and upgrading the existing mechanical and electrical systems.